Dan Biggar struck a post with the last kick of the game as Bath edged out Northampton Saints, while Bristol Bears extended Harlequins' Premiership losing streak and Wasps saw off Sale Sharks. 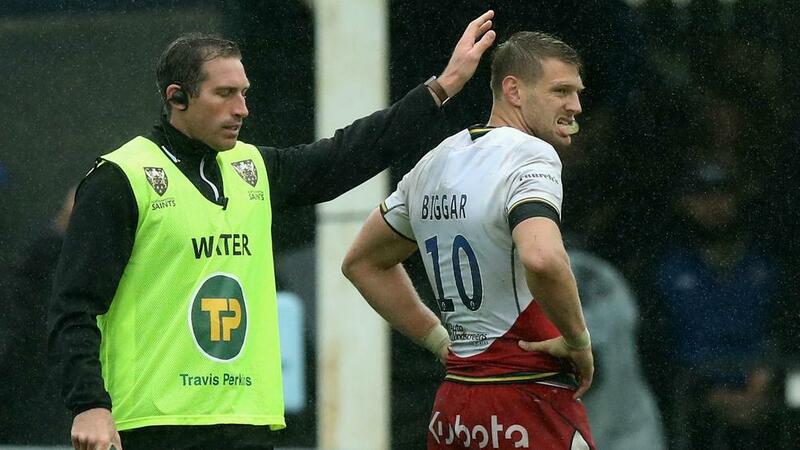 Biggar had the chance to salvage a draw for Saints in the wind and rain at The Rec, but the Wales five-eighth's conversion attempt from the touchline hit an upright to ensure Bath claimed a 17-15 victory. Cobus Reinach's try put Chris Boyd's side in front, but it was 7-7 at half-time after Freddie Burns went over and added the extras. Burns was on target again from the tee to put Todd Blackadder's men in front for the first time and Joe Cokanasiga's second try in as many games extended Bath's advantage. Tom Collins touched down following a powerful maul right at the end, but Biggar was unable to prevent Saints suffering a third defeat in four. Ian Madigan made Harlequins pay for indiscipline at Ashton Gate, where Bristol came from behind to win 20-13. Quins surged into a 10-0 lead courtesy of a Danny Care try and five points from the boot of James Lang, but Piers O'Conor touched down and two Madigan penalties gave Bristol an 11-10 lead at the interval. Ben Tapuai was shown a yellow card in the first half and Joe Marler and Paul Lasike were sin-binned after the break, with Madigan on target from the tee three times as Bristol handed Quins a third straight loss. Wasps moved up to third after a first win at AJ Bell Stadium, Nathan Hughes making amends for an early yellow card by scoring the bonus-point try for the visitors in a 31-13 triumph over Sale.